Most of us like to stay updated on current events, while some prefer it because they don’t want to look ignorant in front of others; there are some who actually read them because they are genuinely interested. In present times where we give preference to work before meals or rather health before wealth, we are always in a hurry and seldom do we have time to sit and go through the contents of the newspaper, fold the nice big sheets and sip tea while we discuss where the world is heading. At such times, thanks to the internet age, we either read it online on the Computer or on our Phones. With a string of Apps available to quench the thirst of all those news hungry people it often becomes difficult to choose the right app, the trial and error method often eats up a lot of data plan and leaves us unsatisfied. To bring an end to all the confusion, we have brought together a selection of some of the best news Apps available for Android phones. This is not just a news App, it actually amazingly combines eBooks and magazines from all over the world to satiate your need for knowledge. It has been recognised on several platforms as the best as one of the best news aggregator. With its stunning feature that supports almost 11 Indian languages and news from over 600 districts, this is one of the snazzy Apps to have on your android gear. It does not disappoint you in the sports front either and the ability to set notification alert, keeps you at the top of the game. With one of the most user friendly interface, this news aggregator from Google is yet another astonishing creations from the Google House. With a neat swipe mechanism that enables you to surf through various sections like Technology, Sports, Politics etc, makes it convenient to search for news through the headlines and also lets you view local news and weather. To view the report in detail, all you need to do is click on the headlines and it takes you to the detailed report. Needless to say, this App of Times of India gives you the e version of the tangible newspaper that you get every morning at your doorstep. This incredible App by one of the largest media houses in India gives you live updates and thus keeps you well informed on Sports, Politics, Business and Entertainment. The mind blowing notification feature that got better with the launch of the new Android Lollipop really makes it effortless to view the latest updates without visiting the App. With BBC news App you get the exhaustive collection of news, locally and globally. With this application you can send stories, videos, and photos directly to the BBC team. It also enables you to download the news when online so that you can read it at leisure later even when offline. With BBC you can listen even to their radio service when driving or at work. With an option to store the app in your phone’s memory card, this is definitely worth the download. 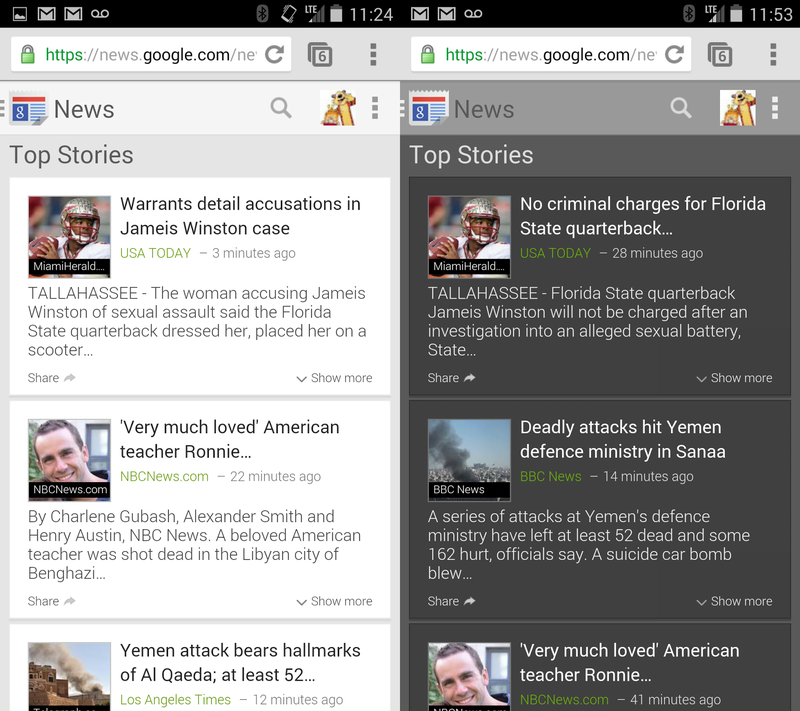 Winner of 2014 Google Editor’s choice, News republic is one the most comprehensive news aggregators amongst the lot. Its exhaustive collection from over 1000 licensed newsfeed all over the globe is phenomena. This app is definitely for those who like to eat, drink, and sleep with stories from all over the world. With over a million topics to choose from, News Republic lets you create your own personal profile that can be used across multiple devices by signing in on Facebook, Google+ or even your email. These applications make you realise the usefulness of a Smart Phone, they definitely make it easy to do a lot of things including reading News. Though it drains your phone battery but with Power Banks in the market, this is not a major issue anymore.